How do you prepare for an apprenticeship interview? There are fewer things more stressful than an interview (driving test and moving house probably trump it), but there’s no need to worry about it, if you follow these simple steps and prepare, prepare, prepare. The employer: Spend some time finding out about the employer. What do they do? How do they do it? Perhaps they’re well-known, or maybe they’re new to the scene. Put in the time to find out about them. Visit their website, or speak to someone you know who already works for them. The location: Where are you going for the interview? The employer’s headquarters? Figure out how you will get there on the day, so that you don’t have to worry about getting lost. It might even be a good idea to visit the location ahead of your interview, to time how long it’ll take you to get there. You: Why do you want the job? That is the question you should begin with in your preparation for the interview itself. You can’t predict what questions you’ll be asked, but you can guess and plan general answers that can be narrowed down on the day. The less you have to improvise, the better, so practise potential questions and likely answers on your own or with a parent or teacher. You should also prepare questions that you want to ask about the role, the company, benefits and future progression. An employer will want to hear these, to show just how keen you are on getting the job. 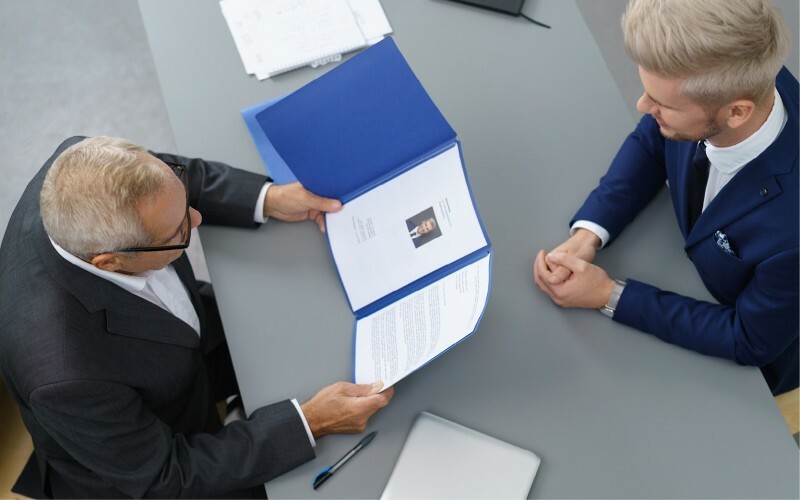 The interview: Interviews can be more complicated than they first appear, depending on the employer. Some still do them one on one, on a single day, and then make their decision. Others prefer two interviews; the first to whittle down applicants from a long list, the second to make their final decision. Some employers even meet their applicants all at once, to see how you would react in a group setting. Find out what the format of the interview will be when the employer first gets in touch. Knowing ahead of time will make it easier for you to prepare. Dress code: It’s always best to wear something smart, even if the employer is a trendy technology start-up or a car mechanic. ‘Smart’ is open to interpretation, and you should always wear what makes you most comfortable. It’s best to consider what you’d wear for a formal event like a wedding, and then dial it down from top hats and ball gowns, to something a little less complicated. What do your parents wear to work? Don’t be afraid to seek a second opinion. Things to bring with you: You may need to bring a portfolio of work, a passport to prove you have the right to work in this country, or your CV. Check and make sure it’s out and to-hand the day before, so you won’t forget it. Be punctual: Don’t be late. This should be obvious, but it’s easy to be delayed or get lost. Make sure you give yourself enough time to get to the interview, both to be punctual and to avoid having to rush. Arriving frazzled after a mad rush from the train station is not the best way to arrive at an interview. Get there early if you can, but find somewhere to go before heading to the interview, as arriving too early is also a thing. Employers need to know that you can keep to schedule, so go and get a coffee if you’re too early. Body language and eye contact: You’re going to be nervous. Accept this and move on. Shake the hands of everyone present when you arrive, and keep it natural. No-one maintains eye contact all of the time, so just meet their gaze when they’re speaking, and when you are. Try not to fidget but keep your hands clear of your pockets. Again, be natural and yourself. If it helps, ask for a glass of water. Questions: Don’t forget to ask your questions. There will be things you absolutely need to know, such as what the salary is, as well as particulars of your own that you’re curious about. Does the employer offer a pension? Do they do socials? These are all good questions and the interview is your opportunity to ask them.